I have highlighted previously that the advent of the EV drivetrain will lead to a multitude of new mobility solutions and developers as entrepreneurs such as the team of Open Motors find that electric drivetrains do not require the set architecture needed by combustion vehicles and are easier to assemble. Indian based ride-hailing company Ola, co-founded by its CEO Bhavish Aggarwal is said to showcase its concept electric vehicle solutions developed from a multi-modal EV project in Nagpur shown in the image below. The Ola concept EVs will include three and four-wheel vehicles designed according to the company’s requirements. Ola is not the first ride-hailing company to consider developing cars to its needs. It’s not just the large ride-hailing companies that are toying with the idea to build their own cars, even bike-hailing companies have partnered with EV start-ups to develop solutions together such as the Sitech DEV-1 which is a collaboration with the Chinese company Mobike. With Ola’s business expanding to the UK, Europe and Australia the company certainly has the base to justify investment in building its own EVs. 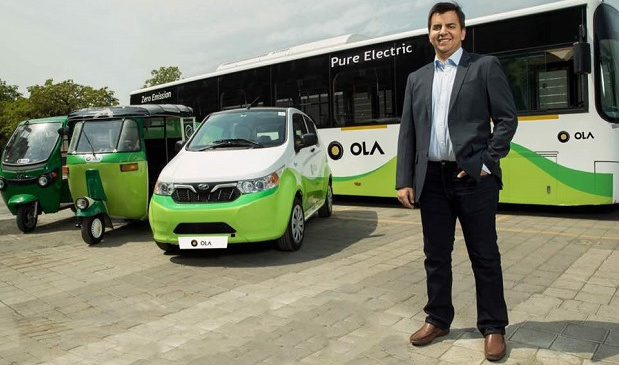 Ola’s mobility team under the stewardship of Anand Shah is apparently already in talks with electric vehicle component suppliers and manufacturers but no final decisions have been taken. Ola’s multi-modal project in Nagpur tested e-rickshaws, buses and electric cars in conjunction with each other covering over 5 million kilometers ((3.125 million miles). Weima announced that it would list the Weima EX6 in Q4 2019. The Weima EX6 Concept saw the light of day at the 2018 Beijing Auto China as a midsize SUV with a 2/2/2 seat configuration. The Weima EX6 will include the network security “car guard” security system it is busy developing in co-operation with 360. 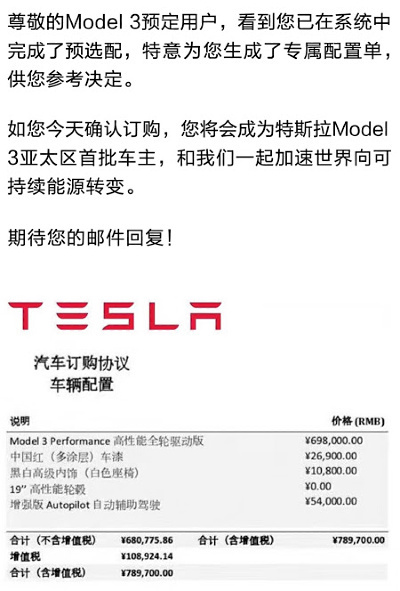 Tesla set the pricing and release date for the Model 3 in China. The Model 3 will be available from April 2019 to the Chinese EV market. Pricing for the Model Dual motor starts at ¥580,800 and the Performance version at ¥690,800. SEQ filing data showed earlier that Tesla intends to produce around 3,000 models at its new Shanghai plant at first. Tesla is facing some headwinds in its second-biggest market with the release of locally produced EVs the NIO ES8 and the Marvel X while itself is being taxed with import duties as high as 40%. The NIO ES8 and Marvel X competes for customers with Tesla and has sold 8,000 units in the last couple of months. In light of the situation, Tesla also slashed prices on its Model S and Model X ranges by between 12% and 26% eating into its margin as it will absorb the cost internally. Q4 2018 – Production of its best-selling XC60 SUV destined for the USA to start Torslanda, Sweden instead of Chengdu, China as originally planned. The S60 luxury sports sedan will now also be produced in China as opposed to just being manufactured in the USA as per the March 2018 plan. The V60 Station wagon will now be produced at Ghent and in China and not in Sweden as planned. Geely Volvo still plans to export the Lynk&Co series to the USA in 2020. In related news, Volvo India announced that it will introduce four new electrified models in the country over the next three years. Volvo’s first electric vehicle for the Indian market is the XC90 which started selling earlier in 2018. Volvo India will assemble the XC90 plug-in hybrid electric SUV in Bengaluru from Q4 2019. Auto NDTV quoted Charles Frump, Managing Director, Volvo Car India, saying “The localization of plug-in hybrids marks the future of electrification for us. Our customers are increasingly becoming aware about the rise in pollution levels and degrading environment. 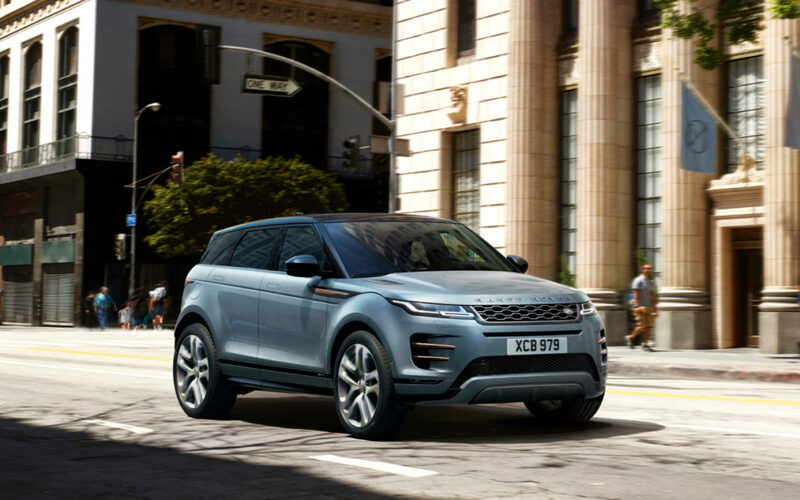 As a responsible luxury car company, we believe electrification is the future. However, till the time we have a supporting infrastructure, plug-in hybrids offer the intermediate solution.” We can, therefore, expect that the majority of the four EV models introduced over the next three years to be plug-in hybrids as Volvo wait for the charging infrastructure in India to justify the release of pure electric models. Speculation has been that the VW Group supercar maker will kick off its EV range in 2019 with a Plug-in electric Urus SUV based on the Porsche Panamera Turbo S E-Hybrid drivetrain. In an interview with Automotive News CEO of Lamborghini gave some insights into the VW Group company’s electrification strategy. Automotive News quoted Mr. Stefano Domenicali, saying “probably around 2021, with the Aventador replacement that will add a motor to its V12 engine.” He added that “the same will happen later also on the V-10 family when we replace the Huracan. A plug-in model is the only way to maintain performance and keep Lamborghini’s engine sound while also reducing emissions,” he concluded. Lamborghini settled on the Panamera drive-train after dabbling with the six-cylinder Bentayga PHEV. 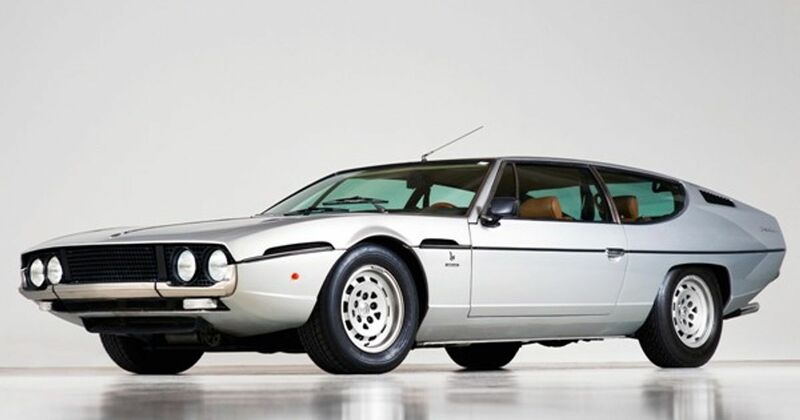 Mr. Domenicali also indicated that a fourth model could be introduced as a grand tourer to resuscitate the Espada after 2025.